"You Have The Ability In You To Retain A Lifetime Of Memories And Information, And Never Again Forget The Littlest (Or The Most Important) Things In Life." 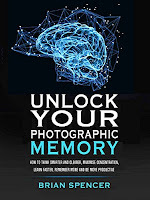 Introducing "Unlock Your Photographic Memory"
This book is replete with exercises, memory tricks, and memory aids that will make you proud and amaze teachers, family, and friends! It is helpful for anyone of all ages but essential for those who are getting older and fear memory loss. Many seniors have successfully utilized these techniques to stay sharp and alert. This publication will be your mainstay to mastering all those robust memory functions that are part of who you are and who you want to become! 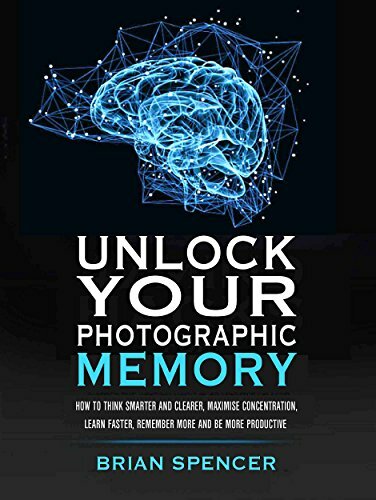 Master these 3 vital keys to attaining photographic memory and you'll retain every memory of every experience with vivid clarity! Little-known mind power secrets for ridding yourself of absent-mindedness forever! Discover the uncanny power of Associations and the secret to enhancing your memory banks! 19 essential memory boosters that keep your mind razor sharp even if you're in your 70s, 80s, or even 90s! Use this simple repetition trick to sharpen your memory in 5 simple steps!